Only one texture paint is needed for all texture sizes. Compatible with nearly all top coat systems. Does not need to be top coated if black texture is desired. After Flextex VT has completely dried, (if desired) top coat with a light coat of Bumper and Cladding Color Coat followed by one or two more wet coats. If another type of top coat is needed, use a laquer compatible top coat system. 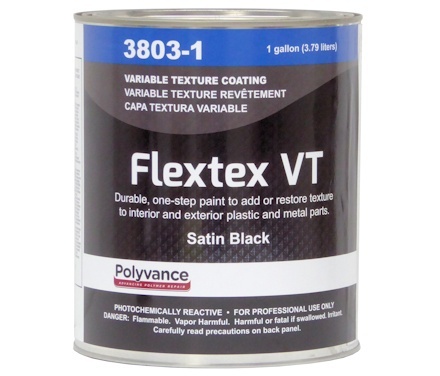 Flextex VT is a black acrylic coating used for re-texturing repaired areas on bumper covers, instrument panels, consoles, etc. A wide variety of pebble-grained textures can be achieved with this product by varying the air pressure, distance from work, and speed of pass. Adding lacquer thinner will reduce texture size. Thanks to Hangtown Body Shop for submitting these pictures. This is typical damage that occurs to textured plastic. This particular vehicle is a Toyota FJ with a lighly damaged fender flare. 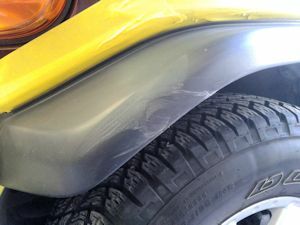 To fender flare alone cost $245.00! The part can look new again at a fraction of the cost. The damaged area is sanded smooth and any low spots are filled in with Putty Flex. Since this is a TPO part, you will need to apply Filler Prep BEFORE applying the Putty Flex. 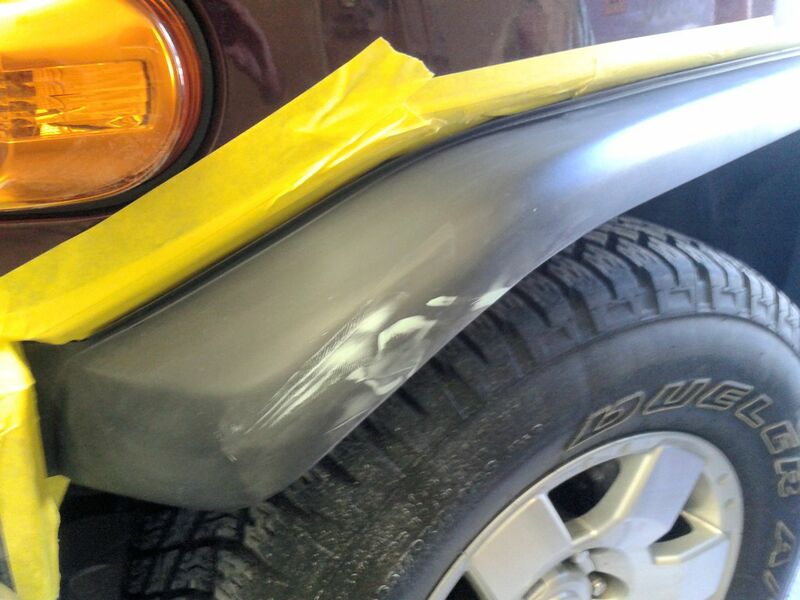 A light coat of Bumper and Cladding Adhesion Primer is applied to the repaired area. 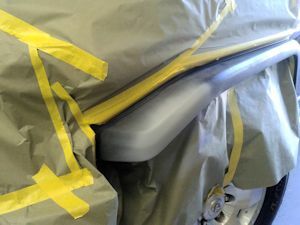 This will aid you in finding any imperfections that may need to be addressed before applying Flextex VT. Not only that, but the Flextex VT DOES need either an adhesion promoter (like Plastic Magic)or Bumper and Cladding Adhesion Primer for proper adhesion to TPO or polypropylene. 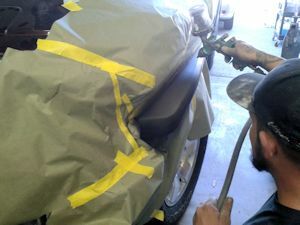 Flextex VT is applied following the instructions on the can. 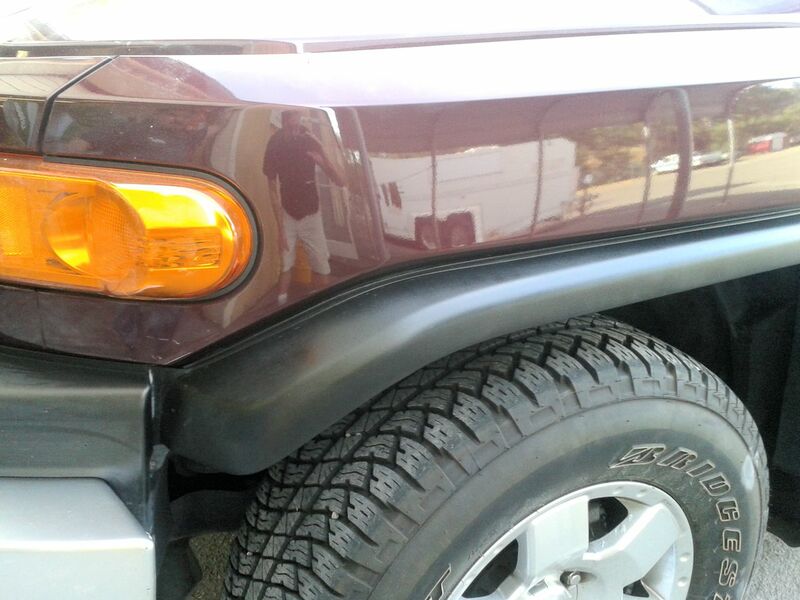 The fender flare looks brand new again!